One of the main components in a production devops workflow is the docker registry. 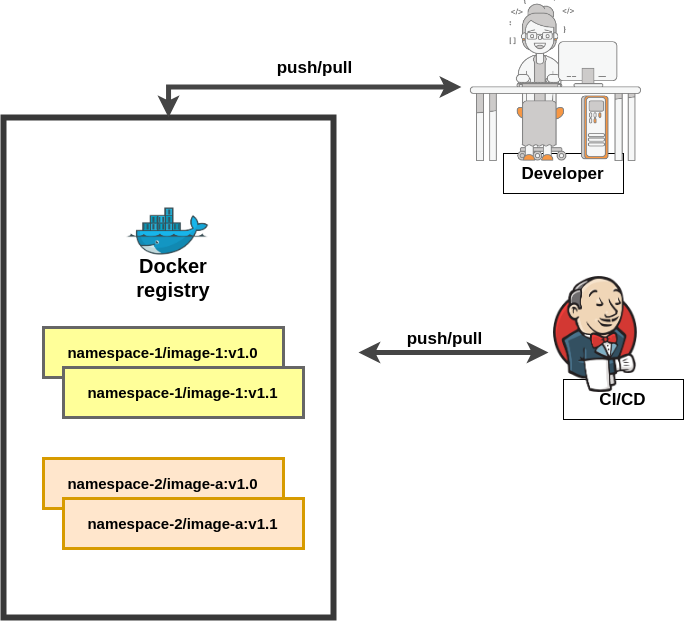 The humble docker registry sits somewhere in your CI/CD pipeline. It does a simple job of storing and retrieval of different versions of your container images, more like your own private container image warehouse. The obvious way to get started with a docker registry is to use dockerhub, Docker’s official public facing registry. For consuming existing public images from dockerhub, you don’t even need any sort of authentication. But for publishing your own images, you need to signup and create a free account there. When you want to build and publish container images which can only be accessed by your team or organization or customers, you should be using a private container registry. There are other reasons to use a private registry. You can setup fine-grained access control if you use a private registry. You can also introduce custom workflows like scanning your image for vulnerabilities. You only need 3 docker related commands to interact with a Docker registry. The “docker login” which authenticates you with the registry. For public-facing images/registries, you can skip this part. Then comes the “docker pull ” which pulls the said image from the registry. It assumes you’ve already authenticated with the registry before pulling images from it. Finally, you have the “docker push ” which will push your image to the registry. You can connect your registry to other services like your CI pipeline, a Kubernetes/OpenShift cluster etc. to your registry to push or pull images. A quick way to get a taste of a private repository is to host your own docker registry on a VM. Docker provides an official image. You front it with an Nginx server and you can have a private registry running in minutes. This will give you a secure registry with authentication. You can check out how this is done in detail here. Once you login, you can easily push and pull images from the registry. If you are using Gitlab to host your version control, they have an excellent built-in registry which you can use for free. You can authenticate into the account using your Gitlab private token. 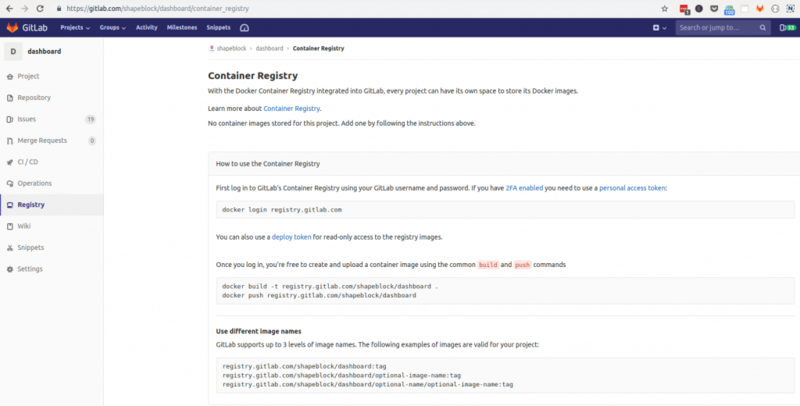 docker build -t registry.gitlab.com/<group-name>/<project-name>/myapp:1.0 . You can access your Gitlab registry via UI in Gitlab’s console. Dockerbub offers a paid plan where you can run private repositories. Quay.io offers something similar as well. One thing I find unique about Quay.io is, it has this feature where you just specify the Dockerfile and quay will build it in their premises. I’m not sure if other services offer this feature. 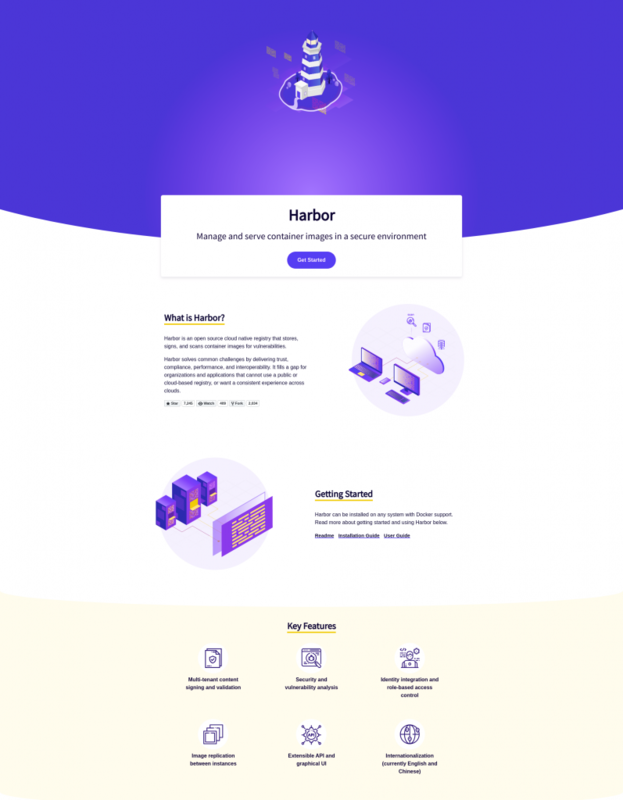 There is also an industry-standard open source registry with nice UI, called Harbor. If you are specific about access control, you can try out another open source project Portus which fronts a plain docker registry with authorization, UI and a REST API. Both Portus and Harbor offer security scanning of container images. Now we enter the realm of using registries provided by major cloud providers. These steps assume that you already have the Azure CLI installed and a valid Azure subscription. You first create a resource group. Followed by a command to create a registry. Unlike AWS, you can login to Azure registry using azure cli command. The prerequisite for Google container registry is to have container registry API enabled for your project. Once you do that and have the Gcloud SDK installed on your system, you can configure authentication for your registry. Irrespective of what registry you use, there are some universal best practices which will make your life easier. The right kind of access control goes a long way in protecting and maintaining your container images. You can sort them by teams/namespaces, and some tools like Portus have audit logs to see what activity has transpired in your registry. All registries have some kind of access control which can be leveraged. Some registries have an image vulnerability analysis. This will be done when images are pushed into the registry. There are also vendors who specialize in this sort of service, like Twistlock, which provides additional features like compliance checks. Locate your registry images in the same region as your app deployments. Replicate your registry across multiple regions if you have multi-region deployments. DigitalOcean has a nice article about the latter and how they achieved it for their docker registry. Again, this feature is present in most production level docker registries in the market.